A story that alternates between the present and snippets of two lives nearly 50 years ago right after WWII about Wendell and Frank who have given up every aspect of normality to hide away and and create a secret life together deep in the woods of rural Eastern North Carolina. It's extremely touching and beautiful and it will always manage to build your heart up and tear it all down again. 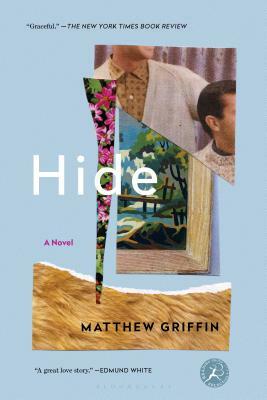 An ALA Stonewall Honor book and a finalist for the Lambda Literary and Publishing Triangle awards, Hide is a tender, aching story of a hidden life in the recent history of gay love in America. Wendell and Frank meet at the end of World War II, when Frank returns home to their North Carolina town. Soon he's loitering around Wendell's taxidermy shop, and the two come to understand their connection as love-a love that, in this time and place, can hold real danger. Cutting nearly all ties with the rest of the world, they make a home for themselves on the outskirts of town, a string of beloved dogs for company. Wendell cooks, Frank cares for the yard, and together they enjoy the vicarious drama of courtroom TV. But when Wendell finds Frank lying outside among their tomatoes at the age of eighty-three, he feels a new threat to their careful self-reliance. As Frank's physical strength and his memory deteriorate, the two of them must fully confront the sacrifices they've made for each other-and the impending loss of the life they've built. Raw, gently funny, and gorgeously rendered, Hide is a love story of rare power. Matthew Griffin is a graduate of Wake Forest University and the Iowa Writers'Workshop. He was born and raised in North Carolina and currently lives with his partner in Louisiana, where he is a visiting professor at the University of Louisiana at Lafayette. This is his first novel.